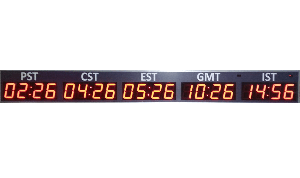 register / punch card / swipe card system. Smartech provides an advanced fingerprint based time recording system replacing your muster register / punch card / swipe card system. 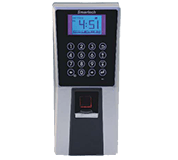 Smartech Access Control Solution has maximized the user convenience and security, by resolving the problems of other conventional Access Control Systems that apply RFID cards or password keys. 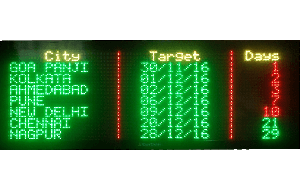 Smartech Multi-line LED Display is an ideal solution to convey quickly and easily large information to the target audience. 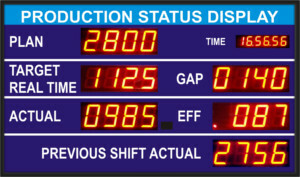 Smartech Production Status Display boards display real time production data, enhancing visual communication and increasing production efficiency. 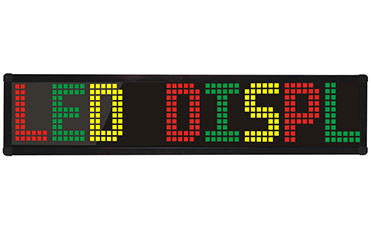 Smartech Action Displays are innovative and technologically advanced Moving Message Displays for conveying your messages effectively and easily. 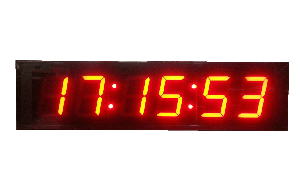 Smartech offers Synchronized Digital Clock suitable for display of uniform time across the facility in pharmaceuticals & chemicals industry, hospitals, schools, universities, etc. 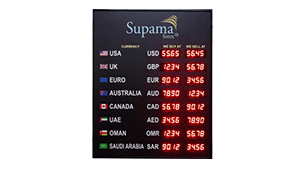 Smartech Rate Displays are a great way to help your customers keep informed of currency exchange rates, interest rates and gold/silver rates.